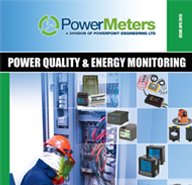 Powerpoint Engineering Ltd are the experts in the supply of Power Quality and Energy Monitoring solutions in Ireland. 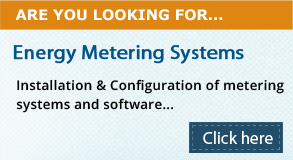 For our clients, we can design, supply, install, commission and support metering systems for both Continuous Energy Monitoring and Continuous Power Quality Monitoring. 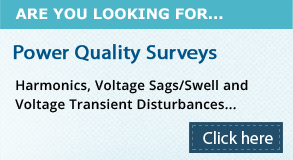 Powerpoint Engineering Ltd have a range of Portable Power Analysers (IEC61000-4-30 Class A equipment) and our expert engineering teams deliver Power Quality Studies, Power Factor/Load Profile Surveys and Harmonic Studies. We provide a quick response in getting to site and liaise with clients throughout the entire process of problem identification to solution. Energy Efficiency Measurements can be performed on installed equipment. We also provide solutions for Demand Control, Power Factor Correction and Harmonic Filtering. The first step in improving Energy Efficiency is to take precise and detailed measurements of energy consumption. Performing load profile studies can provide a detailed footprint of the site load at a given time – however, the installation of an Energy Management System provides continuous measurements in the electrical network and detailed reporting on the site load. 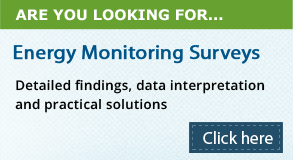 Electrical Network Monitoring Systems can also be installed for continuous monitoring of the site supply power quality. Powerpoint Engineering Limited can facilitate Energy Management System Design Integration and Energy Management System Project Management. We offer a range of portable Power Quality Analysis, Energy Metering Equipment and Power Quality/Energy Management Systems. A range of accessories are available for portable power meters. We also have a range of panel meters and associated accessories for pulse output, demand control and communication modules. Powerpoint Engineering Ltd are fully registered as a Level 3 Supplier with Achilles.